Artistes: Prashant Damle, Ashwini Ekbote, Subodh Bhave, Anuja Sathe, Saurabh Gokhale, Sharad Ponskshe, Sanjay Mone, Ketaki Chitale, Sameer Vijayan, Kishore Chougule, Pramod Pawar, Pradeep Patwardhan, Shailesh Datar, Rajan Bhise, Uday Nene, Madhav Abhyankar, Vandana Waknis, Rajashree Nikam. Nowadays, we are noticing a big change in Marathi films with new film makers trying to experiment with unique subjects, which are original. Someone has rightly said that ‘Man is a social animal’. And, the Dog has always remained the best friend of man and there are many examples to prove his loyalty. But, what if a pet dog is alleged to be a criminal in the murder of his owner? Based on this theme, writer director Bharat Gaikwad has presented this interesting suspense filled film Bhobho. Vyankatesh Bhonde (Prashant Damle), an ex Police officer, expert in detecting cyber crimes, suffers a tragedy in his life, when he loses his young daughter in an unfortunate auto- rickshaw accident. He loses interest in his job and starts feeding the street dogs during late evening hours, as his daughter used to love dogs. He is hired by a detective agent (Sanjay Mone) to detect some cases and that’s how Bhonde earns for his living. But, his wife (Ashwini Ekbote) is not happy with his lifestyle. 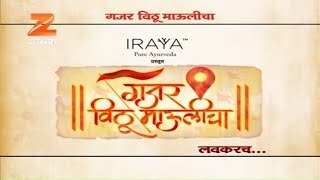 When Bhonde is handed over one such unusual insurance claim case, where the insurance company is required to pay to deceased’s husband Vinayak Bhadarkar (Subodh Bhave) Rs. 1 Crore, as his wife Smita Bhandarkar (Anuja Sathe), in whose name the policy is taken, is supposed to have been killed by their pet, Sandy. When Bhonde takes up the case and starts investigating in his own style, he is convinced that Sandy is normal and not a ferocious dog, as proved by the doctor of the hospital. But, Bhonde suspects either suicide or murder by someone else. Finally, he succeeds in proving his point. Bhobho is a well presented murder mystery holding the suspense cleverly till the climax. A lot of home work seemed to have been done by the director as every scene generates curiosity. The casting in this film is the most appropriate, with all versatile stage and TV artistes playing most of the important characters in this film. Prashant Damle is at his best playing the lead character of Vyankatesh Bhonde. Good support comes from Subodh Bhave, Saurabh Gokhale, Sanjay Mobe, Sharad Ponkshe , Ashwini Ekbote, Ketaki Chitale, Kishore Chougule , Rajan Bhise and others. There are no songs in this film, but music by Parth Bharat Thakkar is good for the title song. He has also offered excellent background music most suited to this kind of suspense thriller. There are very few errors noticed in this film, which could be ignored looking at the fine effort of the director, in presenting a new subject very cleverly. Certainly, a worth watch film for all. Don’t miss it, if you are a dog-lover and you have pets at home. Click here to know more about "Bho Bho"